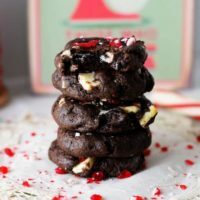 Chocolate Oreo Peppermint Cake Mix Cookies are soft, creamy with a refreshing peppermint flavor and topped off with a little crunch. These cookies are so decadent they leave you saying M’m M’m Good!! 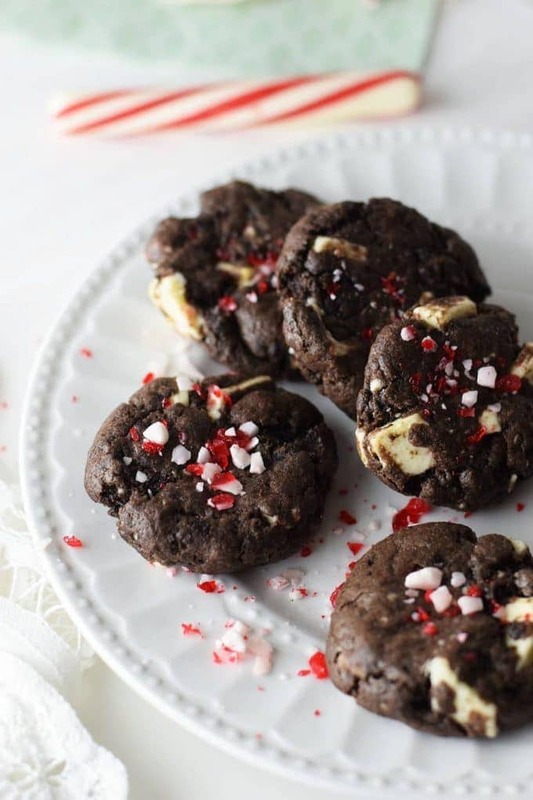 The holiday isn’t complete without a Chocolate Peppermint Cookie. And this one is what I like to call the loaded version. 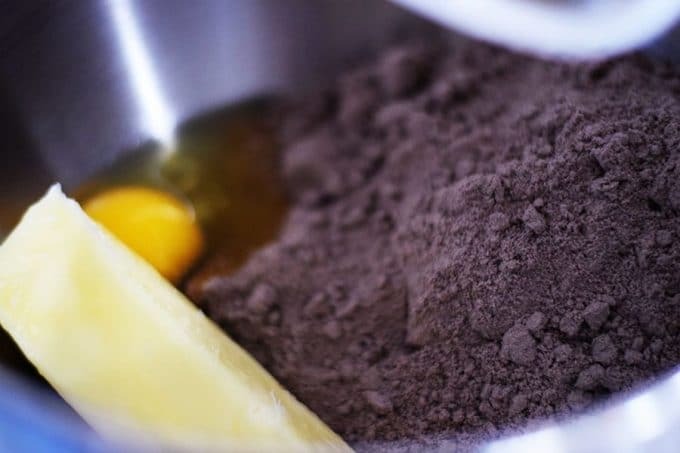 I love to use a cake mix to make cookies. It’s made with a basic dough that includes a cake mix, butter and cream cheese! Yes it’s divine! The way to change up this basic dough is with all the goodies that goes into it. 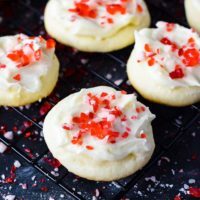 For this Christmas Cookie, my inspiration combines some of my son’s favorites (yes, I will just blame it on him) to create the perfect combination. 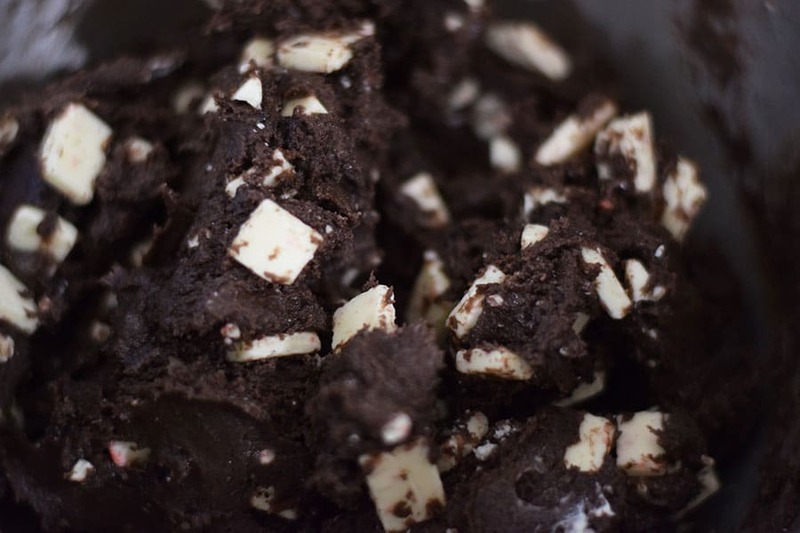 He and I are lovers of mint chocolate so that was a no-brainer, thus using Ghiridelli peppermint chunks – OH YES! Another of his favorite flavors is cookies and cream, so in goes some Oreo’s with the cream and all! 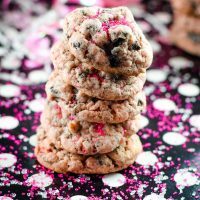 And what cookie is any good without a little crunch – gotta have some crunch, so we will top this of with some peppermint chips or smashed up peppermint candies will do the trick too! Oh Boy WHAT A COOKIE! You just gotta taste it y’all! 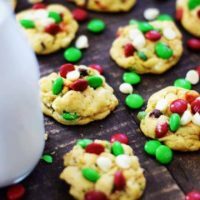 With a mixer combine cake mix, butter, egg and vanilla (you could use peppermint extract if you want a more intense mint flavor). Once combined add cream cheese and mix. Then mix in chopped Oreo’s and Peppermint chunks. Once all mixed together refrigerate for at least 30 minutes. 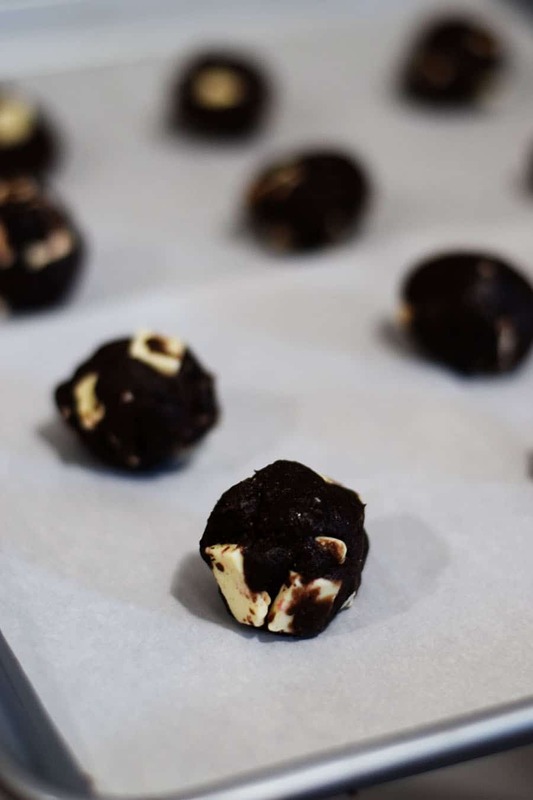 Take out of the fridge and roll into balls, place on baking sheet with parchment paper and bake at 350° for 9 minutes! Remove from oven and slightly press with back of spatula to flatten a bit, sprinkle with crushed peppermint. Let rest on baking sheet for 2 to 3 minutes. Remove to completely cool on baking rack. Store in air tight container. This one is another great way to ring in the Holiday and get into the Christmas Spirit! 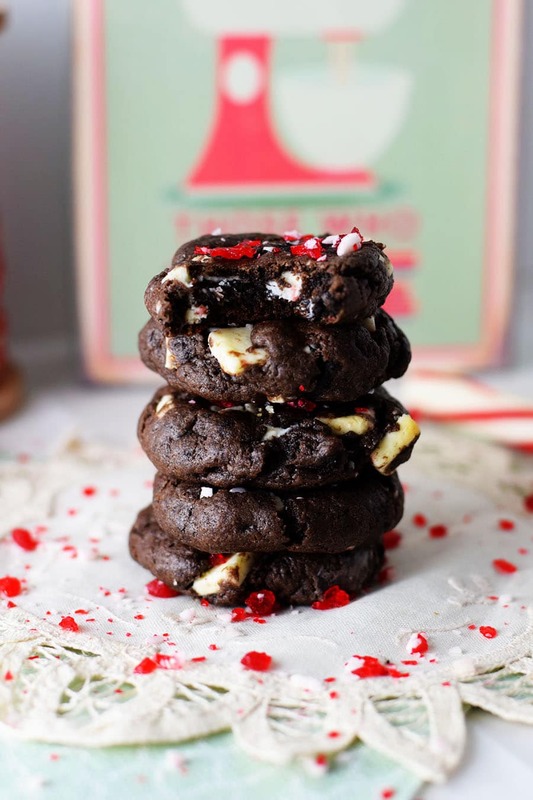 Chocolate Oreo Peppermint Cake Mix Cookies are soft, creamy with a refreshing peppermint flavor and topped off with a little crunch. Mix cake mix, butter, egg and peppermint extract. Add in cream cheese and beat until combined. 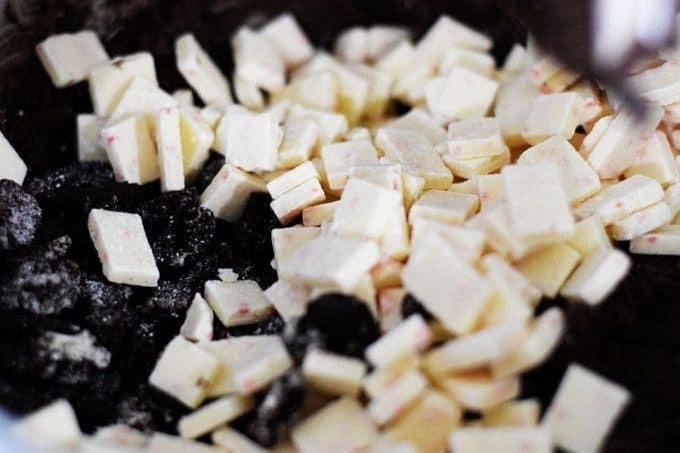 Stir in Oreo chunks and peppermint chunks. Refrigerate dough 30 minutes to 1 hour. Remove and roll into 1 inch ball shaped cookies. Bake at 350 degrees for 9 minutes. Remove from oven and slightly press to flatten with back of spatula, sprinkle with crushed peppermint. Let rest on baking sheet for 2 to 3 minutes. Remove to completely cool on baking rack. Store in air tight container. I also am sharing this over on Meal Plan Monday and Weekend Potluck! Thank you for sharing at Meal Plan Monday. I’ve been drooling over all of your delicious cookie recipes. Beautiful photos and scrumptious cookies. 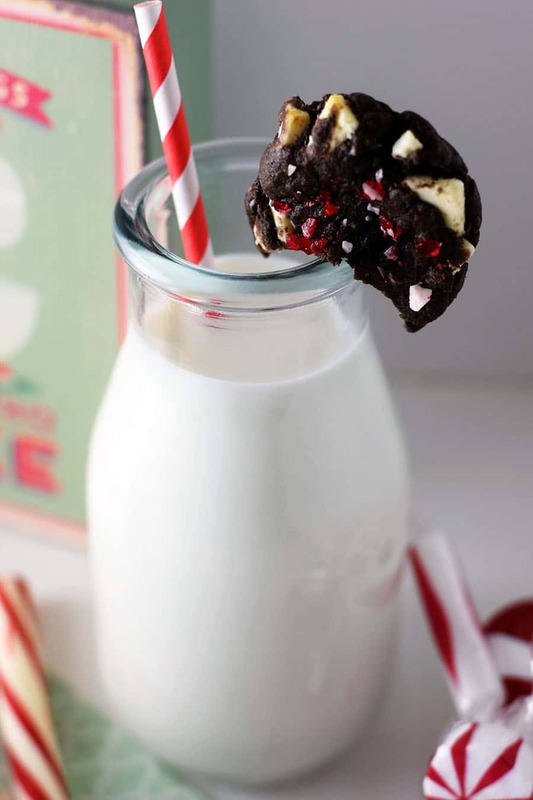 Perfect for cookie swaps. 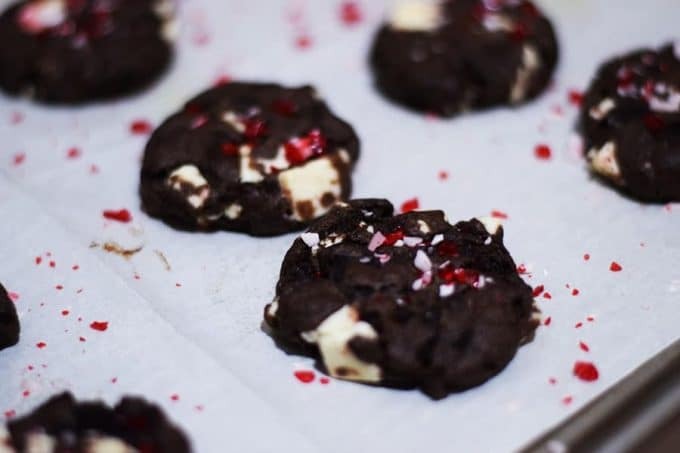 Peppermint Cookies don’t usually appeal to me, but I’m dying to make these. They sound delicious! I’ve never made mix cookies. I need to start with these. They’re so dark and delicious looking! I love that they start with a mix! 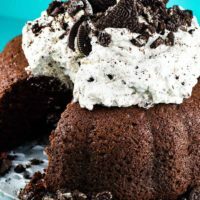 I love scratch baking, but cake mixes definitely have a place in the kitchen, and this is definitely one of those times. All of your cookies are SO DARN DELICIOUS LOOKING!!!! I’m sure your son is happy to take the blame for these marvelous cookies. I love having cookie recipes that start with a mix in my collection. For those times when you’re too busy! These are so scrumptious too! You would never know you use a cake mix!